High-quality services provided by Factory-Trained Technicians. Our Dealership uses the industry’s best Factory-Trained Technicians along with the highest quality equipment to service your vehicle. Our Dealership is focused on one thing only…Your Complete Satisfaction. 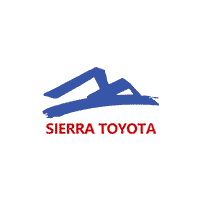 Sierra Toyota is conveniently located in Sierra Vista. Sierra Toyota has expert technicians on staff to handle your repair needs or perform an oil change, tire rotation, battery replacement, brake repair, and all other Toyota Factory Scheduled Maintenance.